Een nieuwe maand, dus weer een nieuwe post met giveaways!/ A new month, a new post with giveaways! 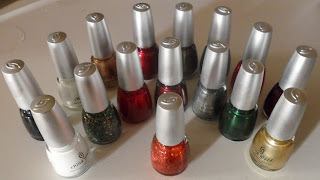 Parokeets is giving away some Essence LE Magnet polishes! You can enter until November 11th, here! Nail Galore's having a 100 followers giveaway! 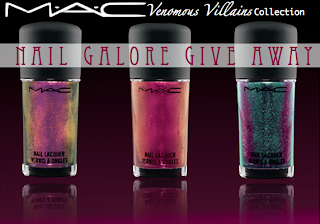 You can win 3 macpolishes! You can enter until november 15th here! Emerald Sparkled is having a 100+ Happy Birthday giveaway! You can win one of these three amazing prices! For all the other prices and for entering this giveaway click here! You can enter until November 15th! 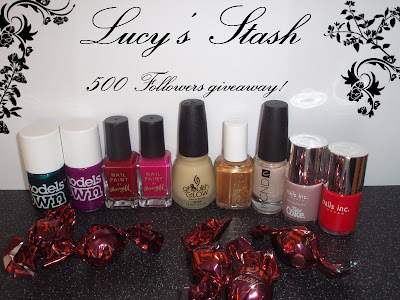 Lucy's Stash is having a 500 followers giveaway! You can enter here, until november first! 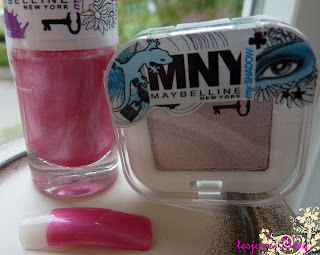 Tessa from Tesjoe's blog is giving away a polish and a eyeshadow from MNY! 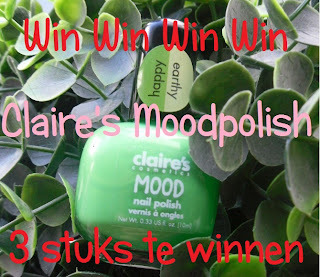 Sillysilsil is giving away some moodpolishes! Have you always wanted to have some? Make sure you enter! You can enter here until October 31th. 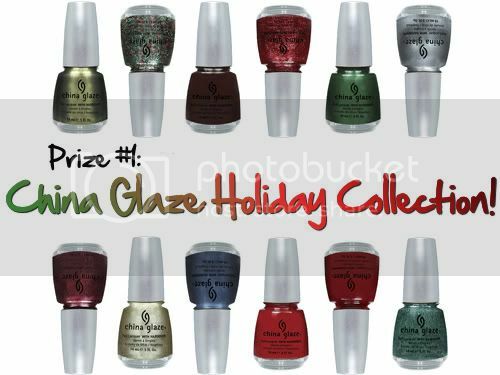 Nail Talez & More gives away the entire christmas collection from china Glaze, isn't that amazing! You can enter here until November 26th, you can enter here! 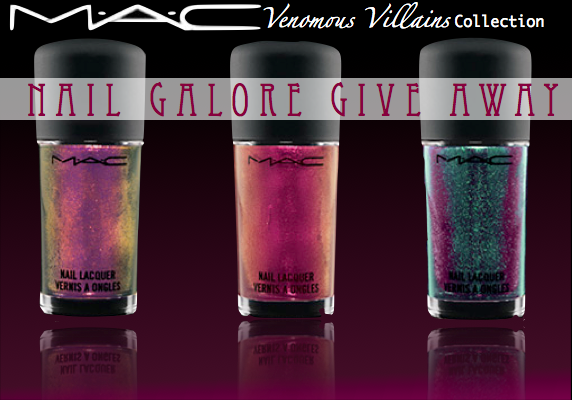 You can enter the giveaway here, it's until october 27th! You can enter until october 31th here! Crystaliciousss is having a nice BB couture giveaway! You can enter here until october 31th, Oh and make sure you check out her blog, its one of my favourite blogs! The laquer files got another giveaway, this time an eyeko giveaway! You can enter until october 31th, and you can enter here! Mirannie's nails is having a 50 followers giveaway! You can enter until october 24th, here! Candy Coated tips is having a LA girls giveaway with the most adorable polishes! You can enter until october 28th midnight here! You can enter until November 16th here! Heli's Beauties got her first giveaway! You can win a lot of awesome prices! Take a look at her gorgeous blog and the blogpost to see what you can win! You can enter until december 24th here! 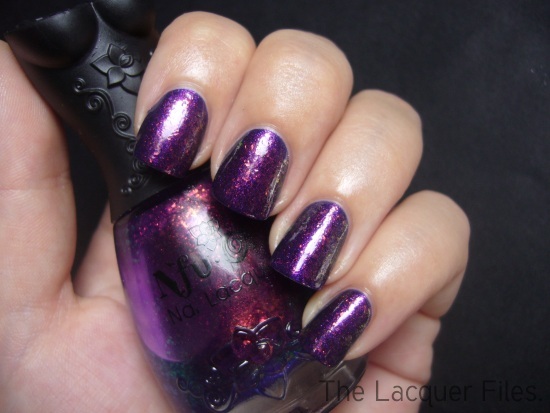 Haha I want a Nfu Oh polish for a really long time, maybe I'm going to buy some through the internet, but they're not very cheap..